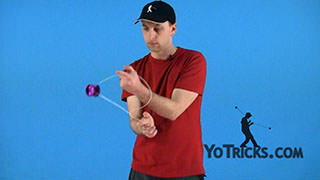 Learn the horizontal combo trick known as Simple Geometry. 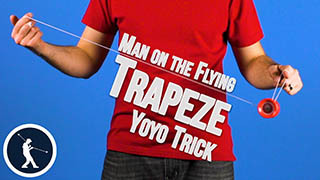 Before we take a look at this trick horizontally, of course we will want to learn how to do it vertically. So we are going to throw the yoyo and do a Double or Nothing. 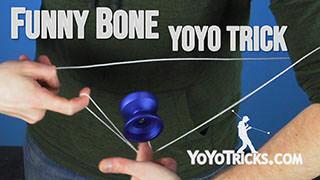 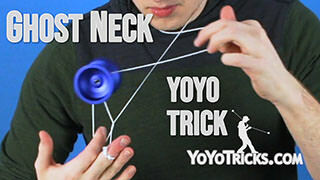 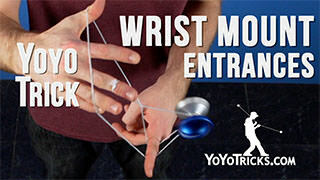 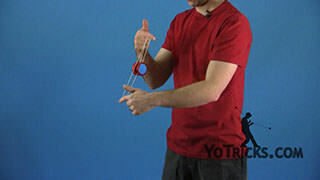 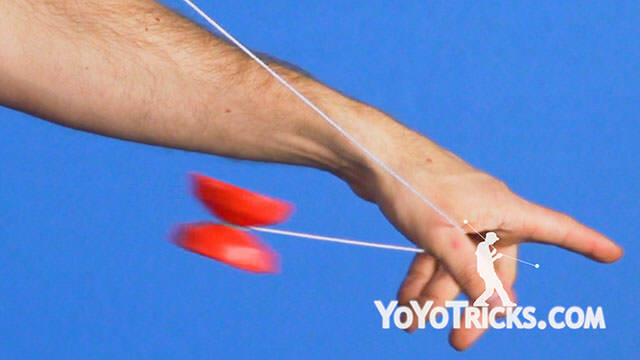 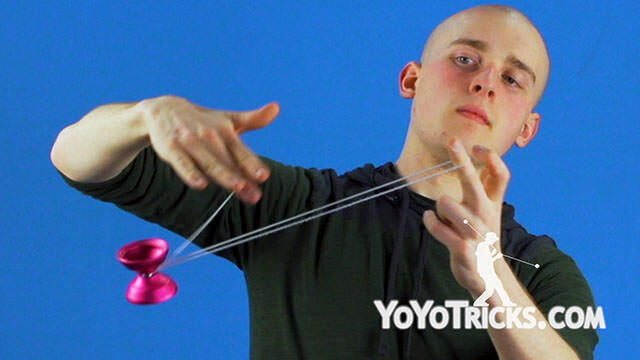 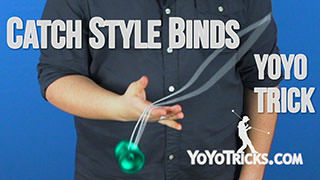 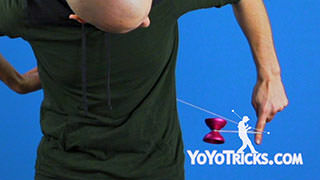 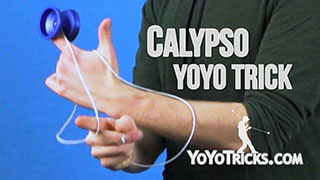 As the yoyo is coming around our opposite hand for the first time, we actually want the string to go around either our wrist or the back of our opposite hand. 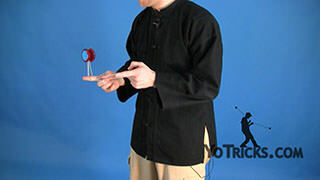 Not out opposite hand pointer finger. 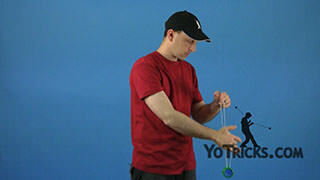 I am going to touch on why that is important a little bit later on in the video. 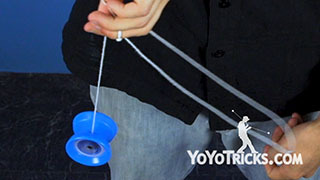 From here, we are going to swing the yoyo in front of the string that it is mounted on. 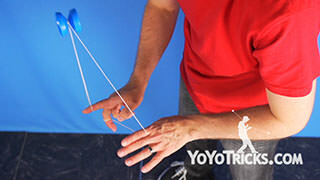 Then swing it once more in that direction, landing on top of that string. 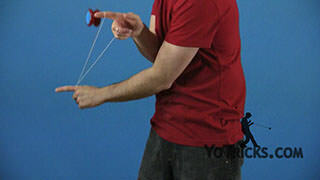 Then we can undo that motion twice. 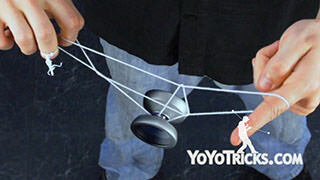 Then we want to stick out our middle finger on our opposite hand, hopping the yoyo over it and then landing the yoyo into an undermount. 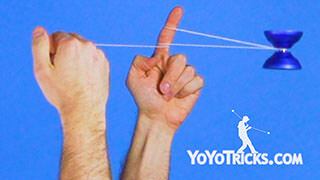 From here we can drop the string on our throwhand pointer finger. 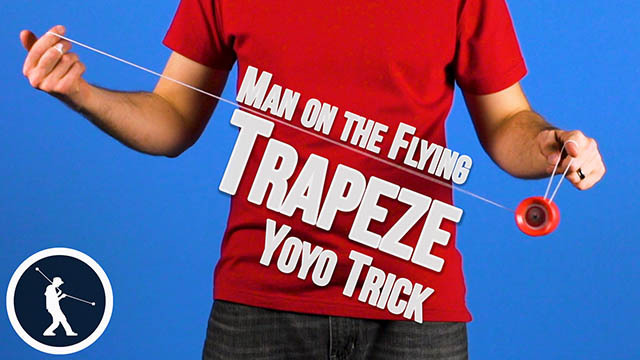 The yoyo is going to be in an undermount from a trapeze. 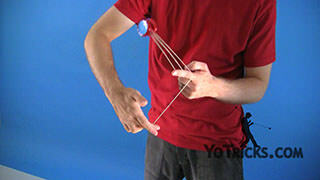 From here we can do a Mobius Maneuver. 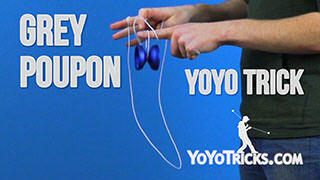 The yoyo is going to be swinging in the opposite direction. 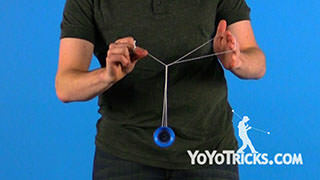 We can swing the yoyo into a 1.5 mount. 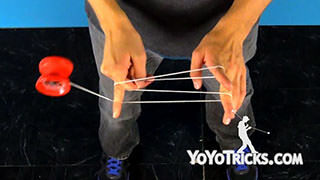 From here we can drop the string on our opposite hand pointer finger. 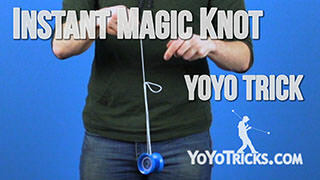 The yoyo is going to be in this keychain mount. 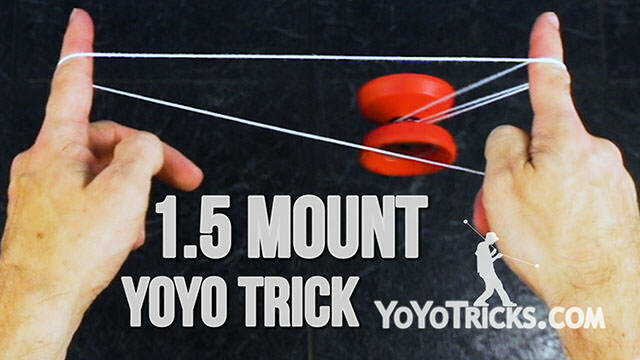 From this mount, the yoyo is going to be swinging in the direction of our opposite hand. 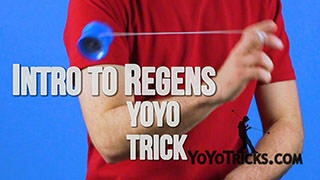 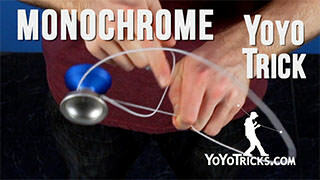 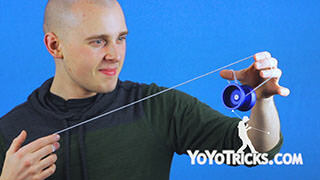 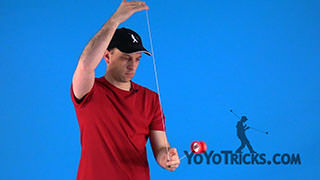 You can land the yoyo on all the strings. 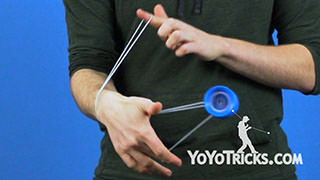 Hop off in the opposite direction. 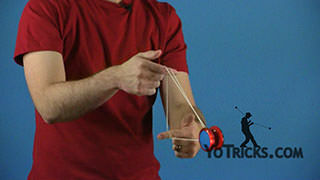 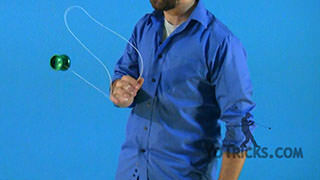 After the yoyo comes over, we can drop the string on our throwhand pointer finger. 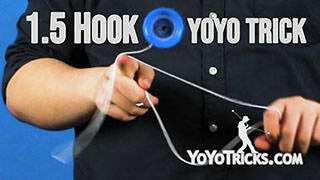 The yoyo is just going to be spinning at the end of the string. 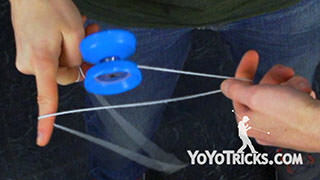 Then we can bring the yoyo into an undermount and perform a bind. 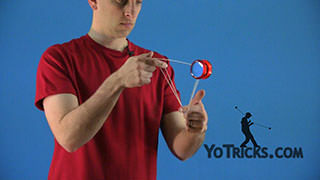 That is the vertical section. 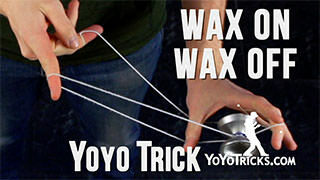 Make sure you have mastered that before moving on to the horizontal version of the trick. 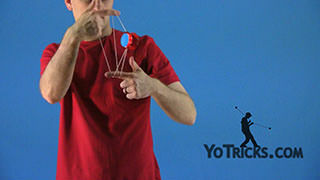 For the horizontal version, first we are going to start with the throw going directly into the horizontal double or nothing. 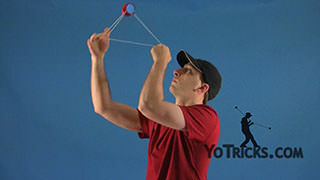 When you are first working on horizontal double or nothing, you want to keep that tip that I mentioned at the beginning of the video in mind, which is to always land the first segment of string around either your opposite hand wrist or the back of your opposite hand. 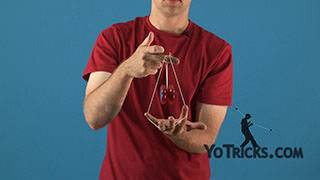 Not your opposite hand pointer finger. 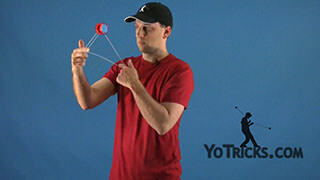 The reason for this is that you have a lot less room for error in horizontal double or nothing. 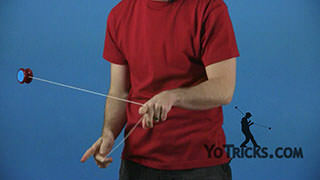 So if I go around my pointer finger, it is actually really easy to hit both of the strings and it is just overall just really hard to hit the mount. 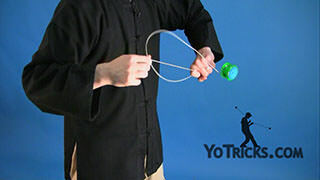 But, if you land the first segment of string around your wrist or the back of your hand, you will have a much easier time hitting horizontal double or nothing and moving on to the next part of the trick. 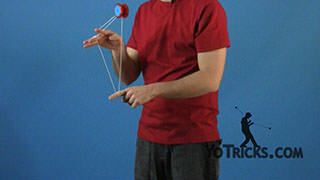 Other than that, horizontal double or nothing works just the same as horizontal trapeze, which is to say that you do not want to try to land the yoyo really far away from your opposite hand pointer finger because that is just way too difficult. 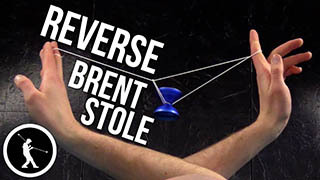 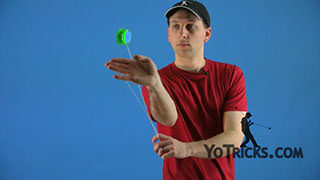 So you want to keep the yoyo as close to your opposite hand pointer finger as possible, which is going to make you much more successful when landing horizontal double or nothing. 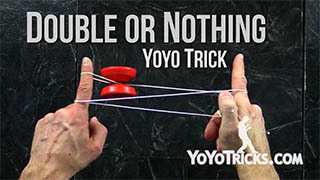 Before you move on to the next elements of the trick, you might just want to practice going into horizontal double or nothing, unrolling and then binding, and doing that over and over until you feel really comfortable hitting horizontal double or nothing. 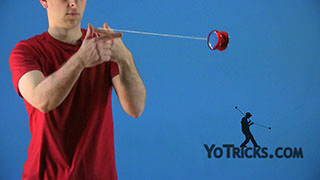 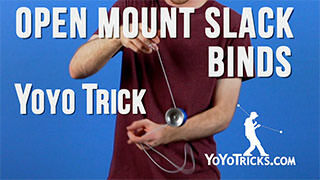 Once you have that mastered, now we can move on to the swinging the yoyo above the mount, just like this, and then we want to stick out our middle finger. 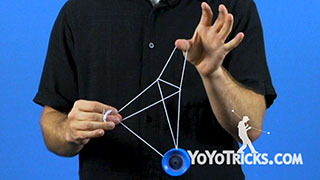 Go into an undermount, drop your throwhand pointer finger, and then go into a Mobius Maneuver, reversing the direction of the yoyo. 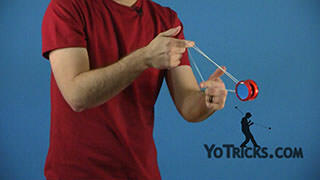 If you are not sure how to do a Mobius Maneuver, then you definitely want to check out our video for that. 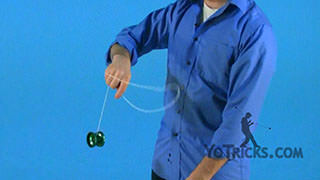 After the Mobius Maneuver, the yoyo is going to be going in the direction as if I just threw it. So we can swing the yoyo into a horizontal 1.5 mount. 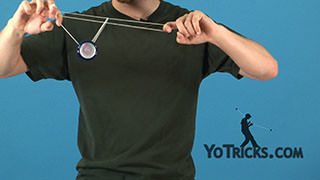 The horizontal 1.5 mount works exactly like the horizontal trapeze and the horizontal double or nothing. 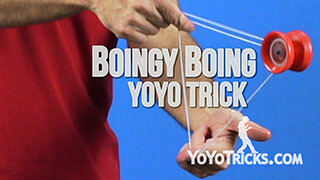 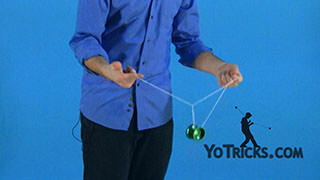 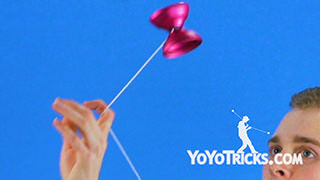 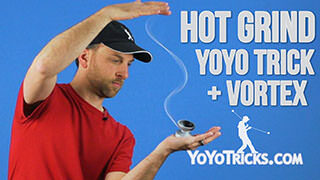 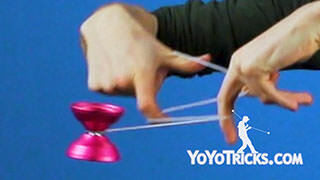 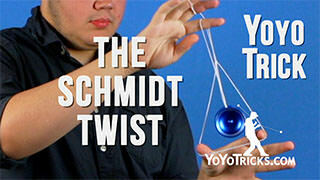 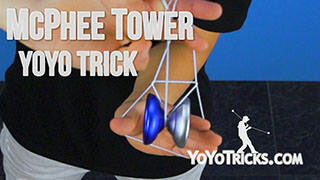 Which means, you want to land the yoyo as close to your throwhand pointer finger as possible. 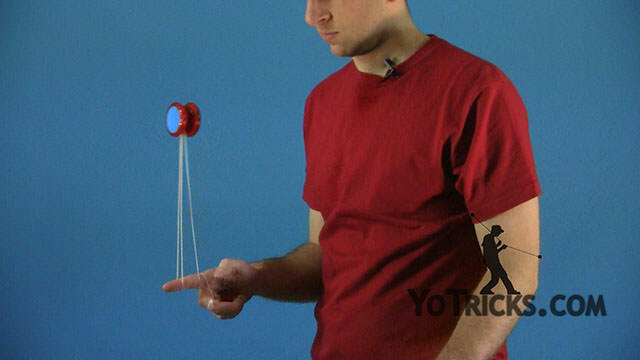 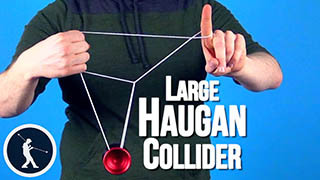 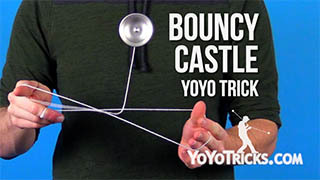 If you try to swing the yoyo when it is really far away, it is going to be much more difficult to hit the mount, so just really focus on keeping the yoyo as close to your finger as possible. 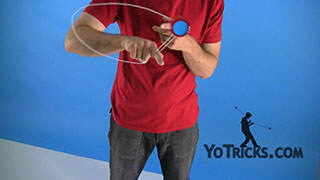 After the yoyo goes into the mount, you can take out your opposite hand pointer finger. 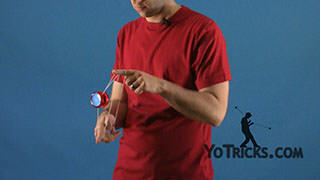 The yoyo is going to be in a Keychain. 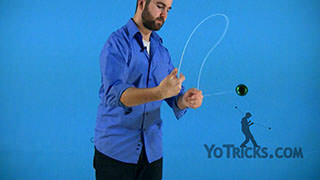 Then just like how I showed you in the vertical section of this trick, after it goes around once, you want to take your opposite hand pointer finger and land the yoyo over, landing on top of all three strings. 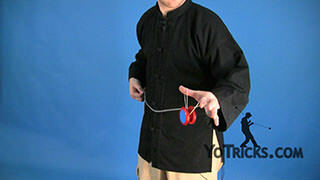 From here you can take your opposite hand pointer finger and pull it out, which is going to reverse the direction of the keychain. 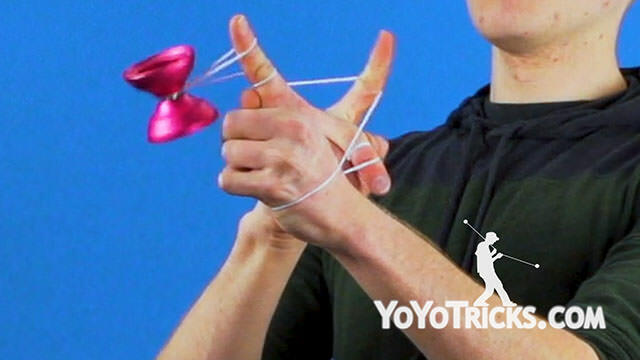 After one full revolution, we are going to throw the yoyo down or out when we are doing it horizontally, by dropping the string on our throwhand pointer finger. 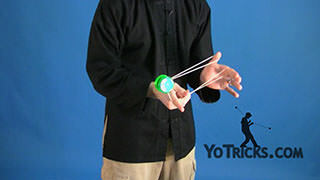 When you are first trying to do this, it might look something like this. 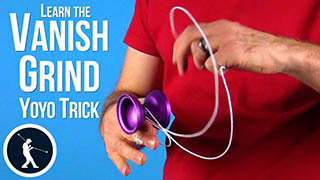 Not very exciting. 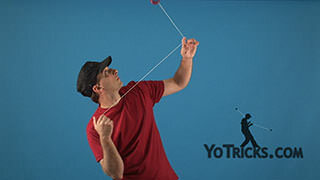 So to make it look much more exciting, and to get the yoyo much higher in the air, what you want to do is really swing the yoyo when it is on your opposite hand side and really push your throwhand forward, which is going to propel it as much as possible. 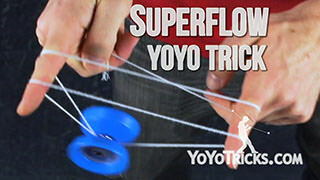 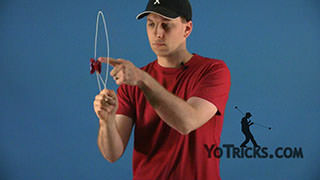 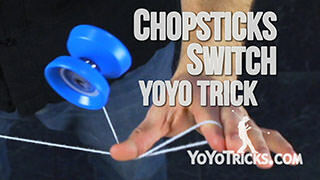 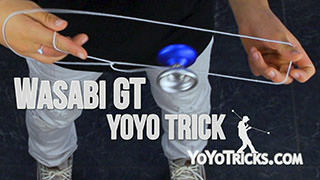 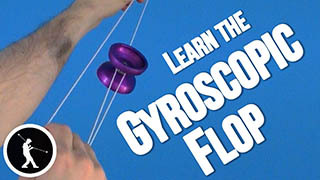 After the yoyo shoots out, you want to take your opposite hand and put it to the throwhand side of the string so that you can pull your throwhand straight back, landing the yoyo into an undermount. 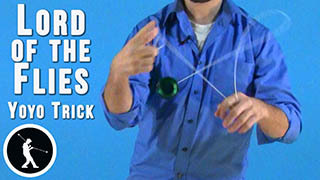 From there you can perform a bind. 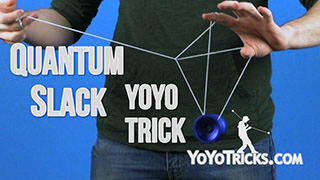 And that trick is Simple Geometry.